Work with files and folders as you would in Windows Explorer. 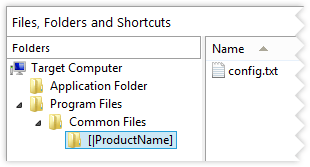 Configuring registry entries is based on the Registry Editor experience in Windows. 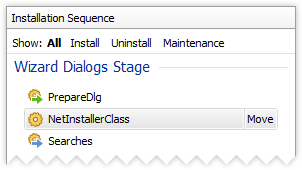 Visually organize features and components within Windows Installer's guidelines. Choose from the many predefined custom actions or add your own. The supported edit operations can also be performed from the Advanced Installer command line. Fine tuning and low level editing of the MSI can be performed from the Table Editor as well. If you want to have access to more complex features you must migrate to an Advanced Installer project using MSI import. This feature is available starting with the Architect Suite. See more features.